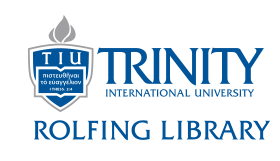 Rolfing Library has access to various ebook collections, including Ebook Central, Overdrive, and EBSCO. See below for help using each of these platforms. 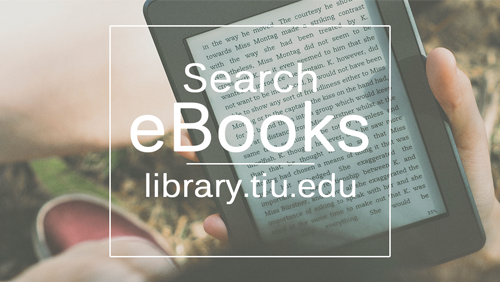 Ebooks can be found by searching TrinCat. After you search, limit to "Electronic" on the right side of the page. To get the full book, click on the link that says "ebook full-text." Ebook Central books can be read online via any device with internet access. Create an account in Ebook Central to download portions as pdfs, highlight, and take notes. Ebook Central guide and more info about downloading. For OverDrive ebooks, you will need to download the free Adobe Digital Editions software. For OverDrive audiobooks, you need OverDrive Media Console. To use a mobile device with OverDrive ebooks and audiobooks, download OverDrive Media Console from your app store. You can read the books online or you can download the books for up to 21 days. For downloads, you need Adobe Digital Editions. You will also need to create an account in EBSCO. For a mobile device, you can view them online as long as you have an internet connection. For downloads, you need Adobe Digital Editions, which is supported on these devices.